Ongole, May 20: Director General of Police J.V. 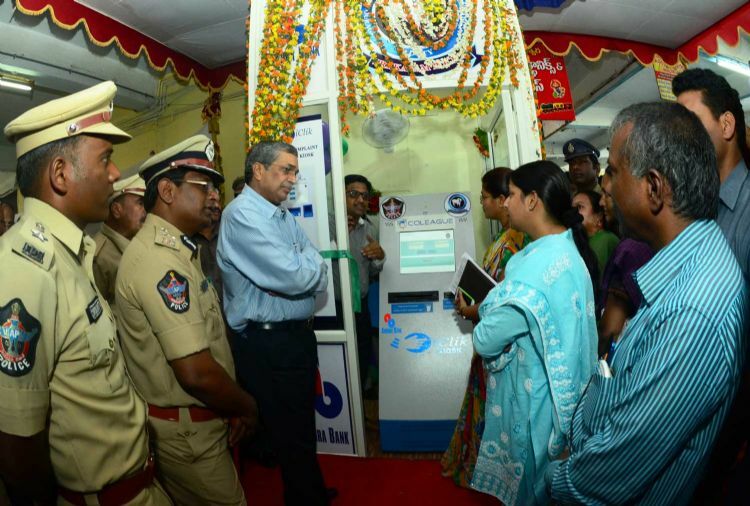 Ramudu Inaugurating an instant complaint lodging internet kiosk (I-CLIK) in Ongole on Wednesday. He said I-CLIK which enabled people to lodge complaints without visiting the police station had very good response since its launch in January. DGP Ramudu said that the police department would unleash the power of technology to ensure people friendly policing. More IT-enabled systems would be put in place to ensure effective policing, he added. More such kiosks would be opened with the assistance of public sector banks across the State to enable vulnerable people to lodge complaints without fear, he added.